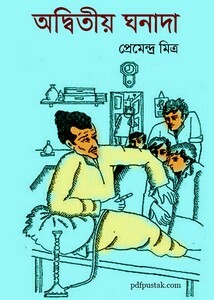 Adwitiya Ghanada by Premendra Mitra Bangla story book pdf. Ghanada alis Ghanashyam Das is a popular fictional character which was createted by famous author Premendra Mitra. Ghanana tells incredible and absurd stories about his life's with four young mess neighbour. Although the stories are buckling but most of the information are received on the basis of real life. Now I want to share an ebook- Adwitiya Ghanada. The ebook pdf has 113 pages, 7mb pdf.